Dr. Robert J. Schneider completed thirty-two years on the faculty of Berea College, retiring in 2001 as distinguished professor of general studies and professor of classical languages. He taught courses in Latin and Greek languages and literatures, and also general studies courses that explored topics in biblical literature, the history of Christian thought, the history of science, classical mythology, and contemporary fiction. His senior seminar at Berea College, "Science and Faith," allowed him to combine life-long interests in science and in religious thought. A graduate of the University of the South (1961), Bob earned a doctorate in medieval studies from the University of Notre Dame in 1965. He also is the recipient of two teaching awards. In 1989 the student body and faculty of Berea College honored him with the Seabury Award for Excellence in Teaching, and in 1993 he received the Acorn Award for excellence in teaching and scholarship from the Kentucky Advocates for Higher Education. As an educator in the newly established field of science and religion studies, Bob reviews books for "Perspectives on Science and Christian Faith" and the "Anglican Theological Review," and publishes scholarly articles. 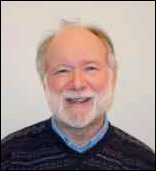 His "Science and Faith" course was awarded a John Templeton Foundation Science and Religion Course Prize in 1997. Bob is a member of the Episcopal Church's national Committee on Science, Technology and Faith, and chairs its subcommittee on Creation. He has also served as his Church's consultant to the Program of Dialogue on Science, Ethics, and Religion of the American Association for the Advancement of Science. Bob is married to Maria Lichtmann, a religious studies teacher and scholar; both are currently adjunct professors at Appalachian State University. They reside in Boone, North Carolina with their dog Joshua, who upon his retirement from Berea College as Campus Pet and Associate in General Studies was awarded an honorary D.Litt. (Dogter of Litters). © Copyright 2005 - 2007 Berea College and Robert J. Schneider All rights reserved.